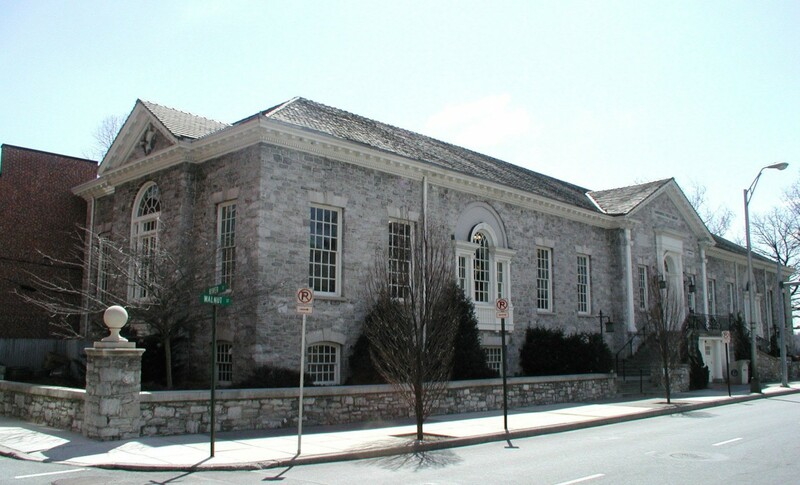 This beautiful 1914 building with a stone Georgian façade is part of the historic riverfront streetscape in Pennsylvania’s capital city. Inside, however, major changes were required to accommodate the varied uses of the building, including technology workstations, meeting spaces, and improved work areas for the staff. 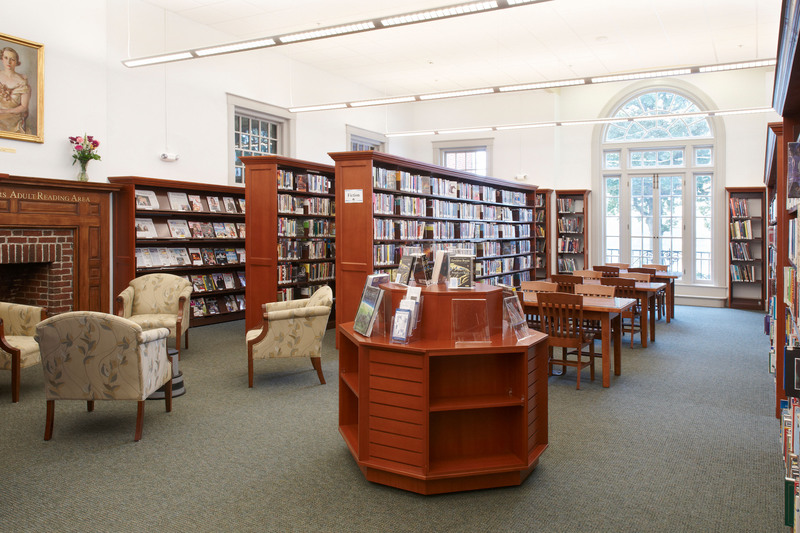 During the comprehensive interior renovation we created much better use of all the floor space, including new space for the children’s section, community meeting rooms, and quiet reading spaces. In the renovated central lobby the circulation and reference desks are now grouped to provide more efficiency for the staff. The manager’s office and processing room anchor the desks, making all staff interactions much easier. Low interior walls add to the new sense of spaciousness, keeping the main area open to the top of the restored arched/vaulted ceiling. The new technology workstations are in full view of the staff, where they can be easily monitored. 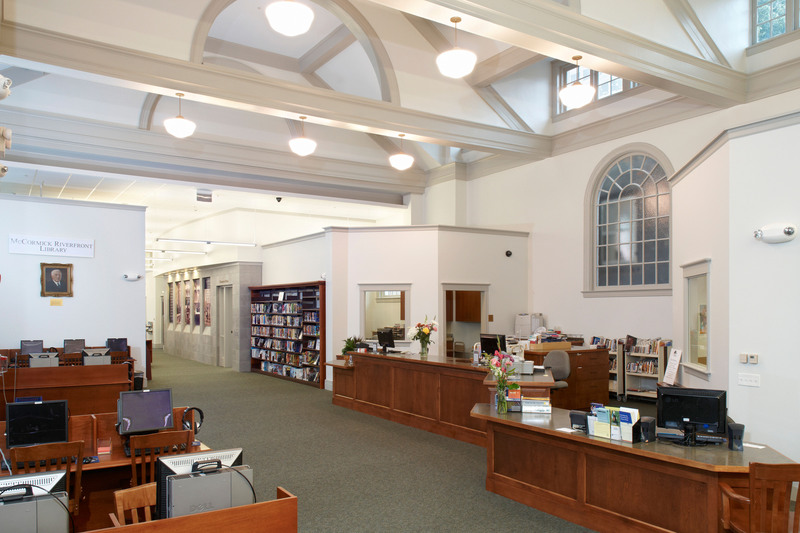 The community room is a heavily used part of the library, located off the main room. The area outside the entrance is the ideal location for displays and information about upcoming events. We designed a tile-clad feature wall with recessed panels and accent lighting that make it easy for staff to change and update each display. Charm and atmosphere were added to the main reading room by exposing and restoring the original fireplace that had been covered in the prior renovation. 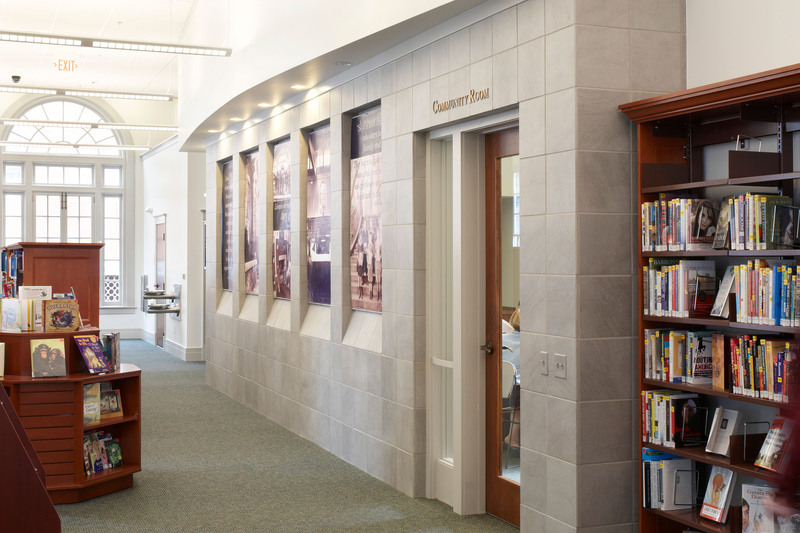 This area provides a comfortable place for patrons to sit and browse books from the stacks, conveniently located just steps away. The new stacks are built in warm wood tones that reflect the historic period of the building, highlighted by energy-efficient lighting in the ceiling. Windows and French doors were repaired and restored so the entire interior design allows clear sightlines for views of the majestic Susquehanna River and riverfront park.